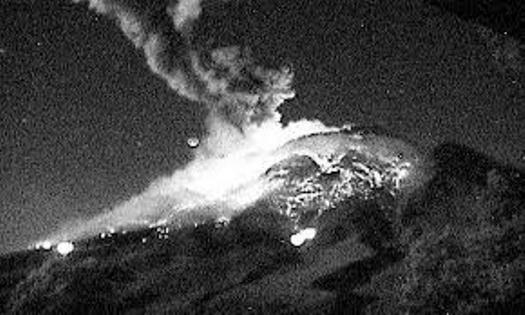 MEXICO, (CNN) — The Popocatepetl volcano registered a strong explosion Tuesday evening in the states of Puebla and Morelos, in central Mexico, according to Mexico’s civil protection authority. The explosion caused lava and ashes to spew, with a smoke plume almost two miles high emanating from the volcano’s dome. Authorities have asked locals to remain in their homes. No initial reports of damages or injuries have been reported.